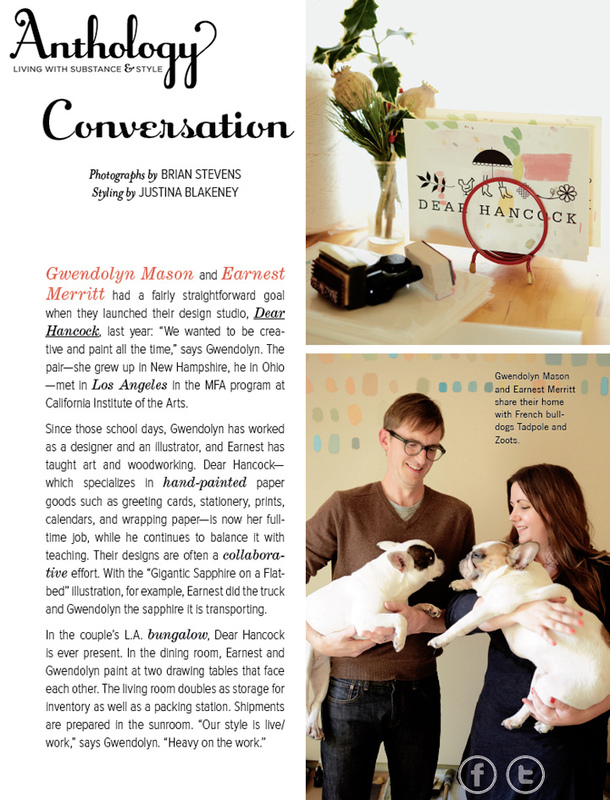 We had the honor of being interviewed by Anthology MagazineÂ for their annual Gift Guide. The Guide is really beautiful and is truly Â a work of art. You can view the Gift Guide and read the full interview here:. The Shoot was styled by Â Justina BlakeneyÂ and photographed by Brian Stevens.Â Both Justina and Brian were amazing to work with and hang out with for the day. Thank you Anthology!